I've been playing with our new stamps and papers. This card uses the Simply Christmas Stamp Set and our new Amelia Papers and coordinating cardstock, embellishments, and ribbons. 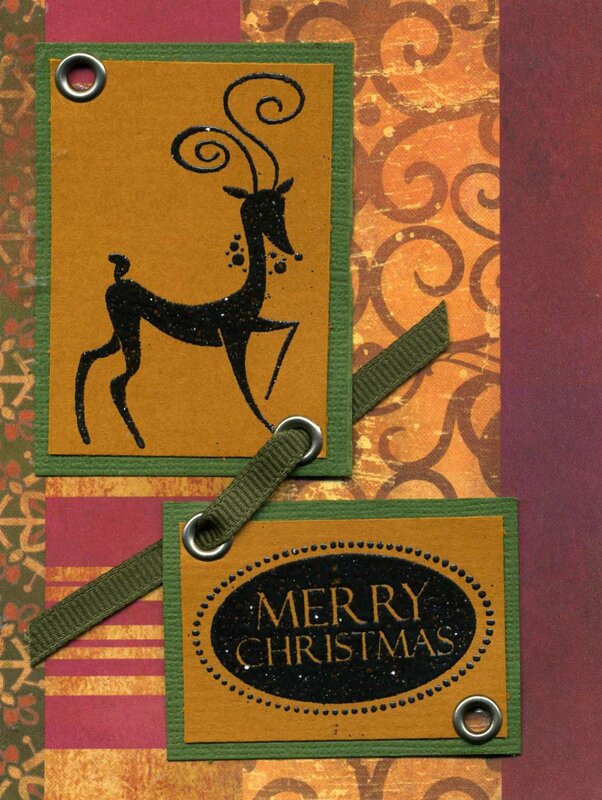 The reindeer and greeting are embossed. And using the crop-a-dile, that we now carry, made setting those 4 eyelets a breeze!